Getting a 3D Pool design has numerous advantages. One, the ability to visualize the pool in your own backyard with your existing landscape. Next the ability to make huge changes in a matter of seconds is helpful the homeowner and pool builder. Lastly the ability to help figure out exact cost of materials and keep your project under budget. The 3d software makes the designing stage of a pool relatively easy. The homeowner can have as much input or as little input in this stage. The results will still have a 3d view of the property that the homeowner can make changes to then. The software allows the ability to see the proportion of the pool to the backyard. Also how much space is needed for the fence, and how far you want the pool from the house. 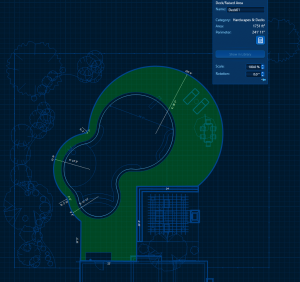 The software makes it easy to see what landscaping to save and what landscaping won’t fit with the new pool. Furthermore adding accessories like a basketball hoop, slide, or diving board is easy to visualize. The location is easy to find as you can see for example the slide in multiple locations. When the pool is being built the homeowner sometimes wants to make a quick change. The builder will know this change is not logical, but its hard to communicate this objection. 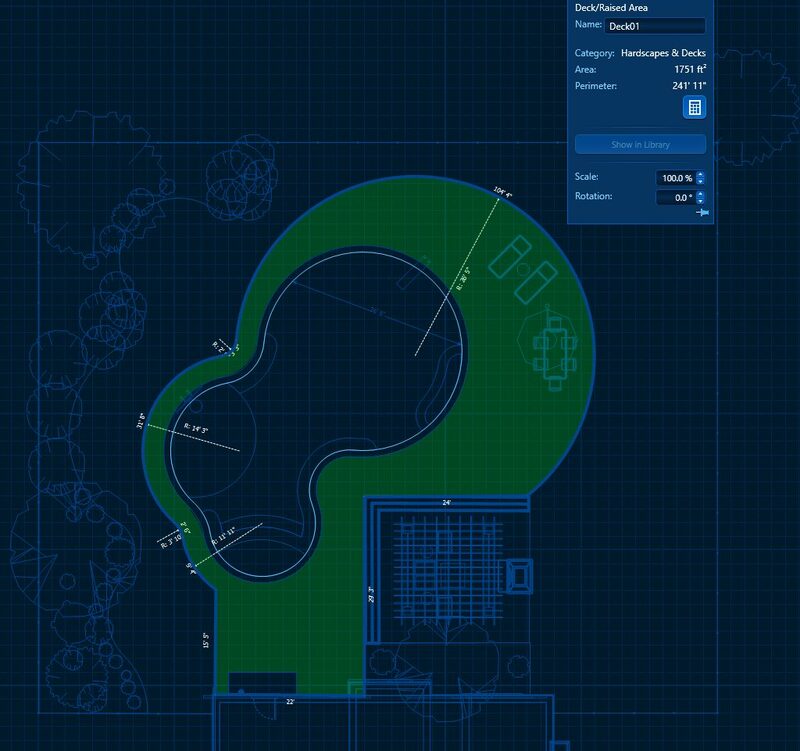 With the software, the builder can show the problem with the change, or can easily change the plans to let the installers continue the process of building the pool. 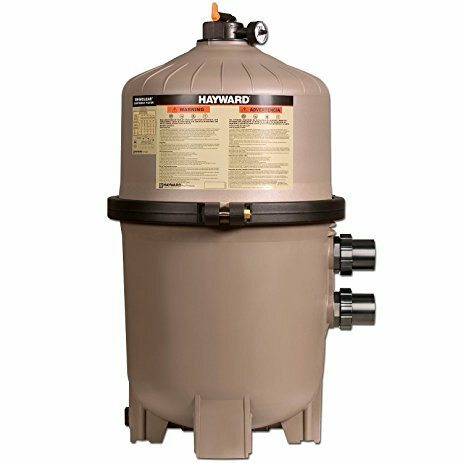 This can be very useful when placing the hot tub, or changing the layout of the concrete deck (patio). 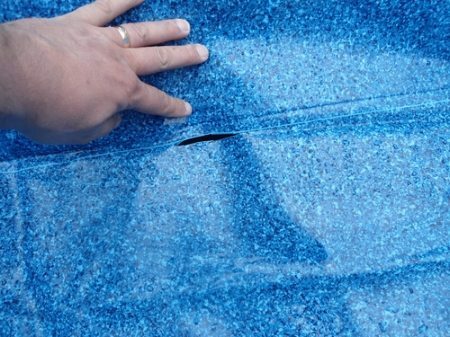 The pool software allows the exact measurements of certain materials to be calculated. 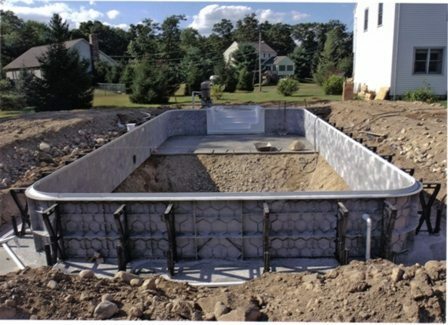 For example how much back fill will be needed for a 20×40 pool can be calculated. Or how much soil will be excavated, and how much your backyard could use to level your yard. Another example would be when laying out where the concrete goes. Sometimes the homeowner will ask for the patio to be bigger. Sometime on how much “bigger” is dependent on cost. This size can be show visually, while also communicating the exact increase of cost if deciding on that size.